Businesses on the Northumberland coast are being urged to put their tap on the map and sign up to the Refill scheme to help reduce the amount of plastic bottles ending up on beaches and in the sea. Refill is an award-winning campaign which aims to prevent millions of plastic bottles ending up in the environment by making it easier to fill up a reusable bottle with tap water. The Northumberland Coast Area of Outstanding Natural Beauty (AONB) Partnership are launching a new campaign to get businesses on the coast to sign up to the scheme which will tell visitors were they can get their water bottles up refilled. Charlotte Hawkins from the Refill Campaign said “It has become a social norm to drink bottled water when we’re on the go’ even though we have some of the safest tap water in the world. In the UK alone we consume 13 billion plastic bottles a year. Many of these bottles are disposed of properly and recycled but some inevitably end up in the sea and on the beach. 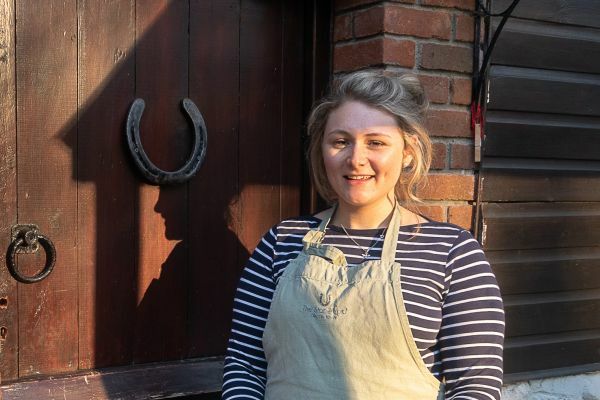 Kate Sutherland runs the Stableyard at Craster and is one of the businesses already on the Refill App, Kate said “We were only too happy to fill people’s water bottles up from our tap so letting them know this by being on the Refill App made perfect sense. As a business in the Area of Outstanding Natural Beauty we know that a clean environment is one of the main reasons people come to the Northumberland coast and we want to do as much as we can to help keep that way”. If you’re a business with a tap that is happy to refill water bottles or has a publicly accessible tap you can join the scheme and feature on the app. Just visit refill.org.uk and register on the website. The AONB Partnership are already working with Coast Care, Plastic-free Beadnell and the North Northumberland Tourism Association to promote the scheme and are looking for more volunteers to speak to businesses in their own communities. If you are interested in volunteering to talk businesses please contact Anna Chouler at Coast Care by email anna@coast-care.co.uk or call 07816 603953. Encouraging businesses to sign up to the Refill App is the first campaign to be launched by the AONB Partnership as a result of their recent beach litter survey. A social media campaign will begin at Easter to encourage visitors to reduce the environmental impact of their trip to the coast.